The registration was a breeze. 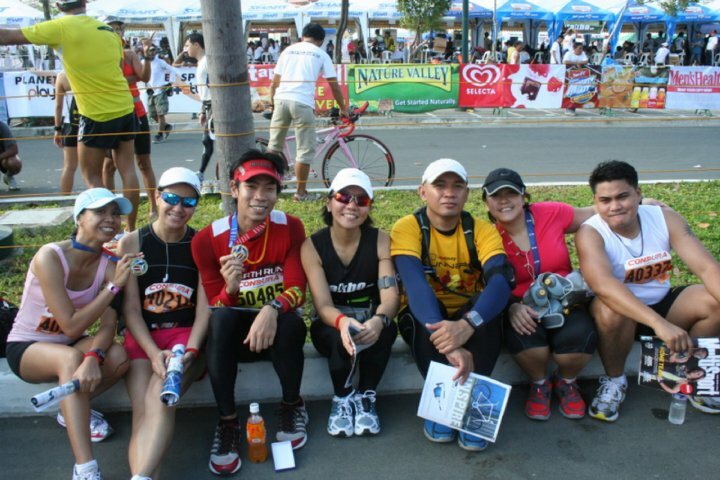 I registered Noy for the 10k race but he changed his mind (or was forced to change his mind) to run the 21k instead. I emailed the Condura secretariat and they allowed him to upgrade. Claiming of the race kits was uneventful. I was in and out in 8 minutes tops. They were really organized. 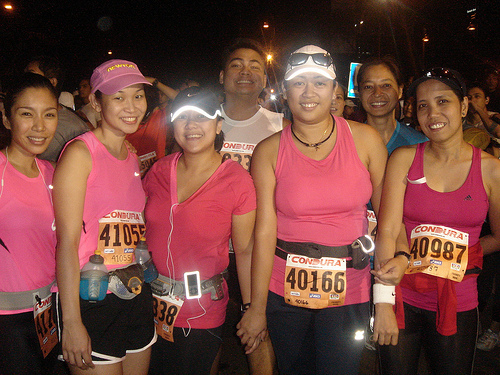 Lally, Noy, Julie and I decided to run together. It so happened that we were all wearing pink hence the name pink girls. 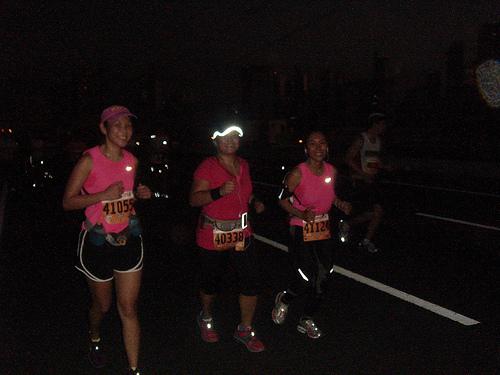 Dyules, Lorie and Yan were in their “monster” zone so they decided to run ahead of us. Initially we were suppose to do a 4:1 Galloway’s but decided to try 5:1 instead (5 minutes run: 1 minute walk). Supporter Rod ran with us. The route to Buendia through the Kalayaan flyover was pitch-black. I have night blindness so I really couldn’t see a thing. I looked out for reflectorized shoes and gear plus followed the white street markers. Thankfully, Buendia was well lit. 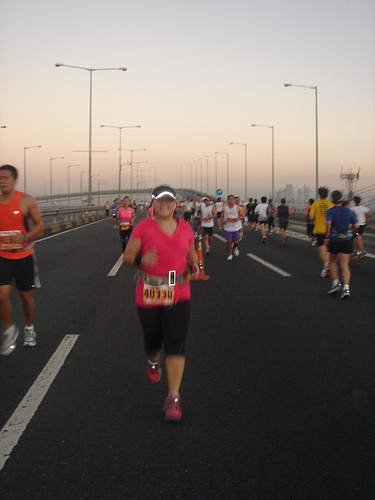 It was an easy run towards the Dela Rosa ramp of the Skyway. My much awaited SkyWay. Most say that this was a difficult route but I have to disagree. Nothing can beat McKinley and St. Martin’s Hills. I have to admit that this was the most enjoyable race I had. I was singing Beyonce’s Single Ladies while running, strumming my invisible guitar while listening to Aerosmith’s Crying and shaking my bootie to Patron Tequila. I even had the energy to scream “Go Tito Jombet” to the top of my lungs 🙂 I kept on telling Julie and Lally to look at the beautiful Manila cityscape with the sun rising behind it. BEAUTIFUL. I was even able to take photos of my 2 lovely pink girls. I was enjoying the run so much that I kept on running way ahead of my posse only to turn back and continue to run with them. I am their designated time keeper any way. I can't wipe the huge smile on my face! On the way back, I saw my dearest hubby who we lost while we were only at the Kalayaan flyover. I told him that I will wait for him at the finish line. 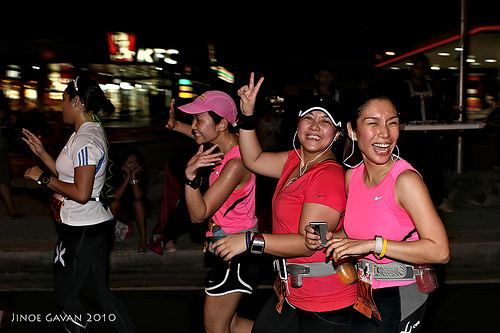 I saw my idol Tita Tiff who I ran with for a few meters but declined to accompany her as I cannot leave my posse behind. Julie was having ankle problems. She also had chaffing issues that I regretted not carrying my BodyGlide with me. Lally had side stitches so we had to slow down. Julie decided to just run ahead. Lally then told me to go ahead. After catching up with Rod, he told me to run ahead as well. The sun was up and it was getting hot that I decided to just run ahead and go back for them afterwards. Buendia en route back to Fort, was a loooong run. I was bored not having anyone with me. My legs felt like lead. I was cheating on my Galloway’s method by stopping ahead of the my designated rest time. 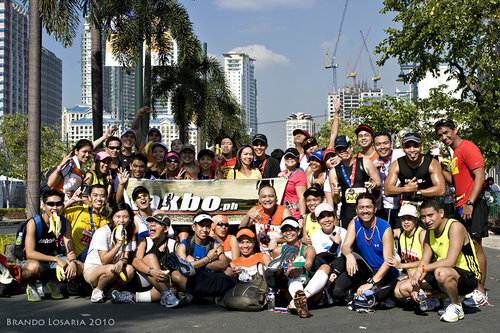 Oh what joy to see the Takbo.ph aid station! Finally, familiar faces! McCoy offered me a massage but I politely declined as there were other runners more in need of his services. 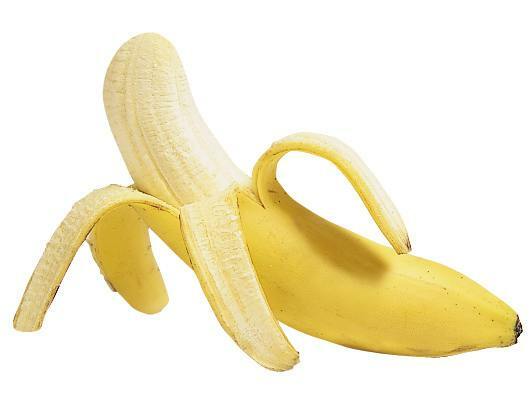 I grabbed a banana and went on my way. Kalayaan flyover going back to Fort. I know I said I love flyovers, but this is one stretch I really hate. The incline is steep, comparable to Mckinley Hills. The stretch was quite long at 200-250m approximately. By the time I reach this point, I was exhausted. But I had to finish strong no matter what. I pinpointed a male runner and tried to mimic his pace. Thankfully, I managed to continue on running following my Galloway schedule. 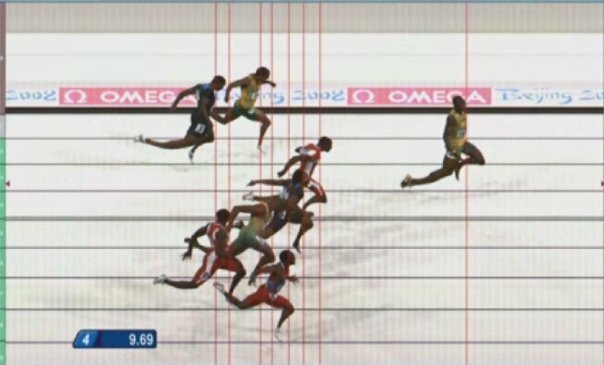 The last 200m felt like the longest 200m of my life. It wasn’t that my energy was zapped but my legs felt like steel. They were so heavy! I finally managed to count myself down towards the finish line ending my 1st 21.77k in 1:41. I was a bit disappointed that I didn’t hit my secret 2:30 goal but was pleased that I was 4 minutes below my 2:45 goal. 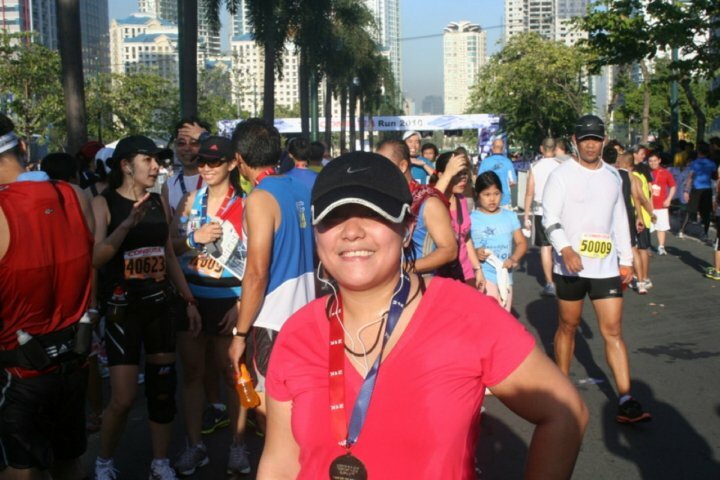 I rushed to get a cold drink of water, get my medal and ran back towards the Kalayaan flyover to wait for Lally and Noy. A few minutes later, Lally arrived. She looked tired so I asked her to give me her hydration belt so she can move quicker. Hubby was nowhere in site. I was worried. Was he injured somewhere? 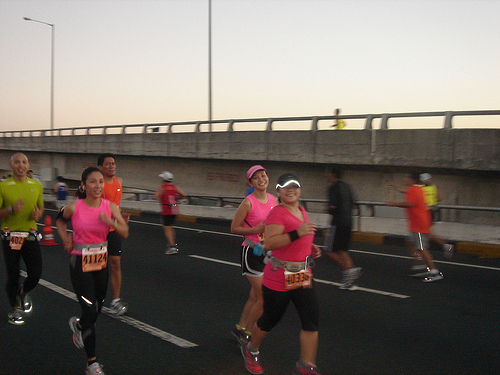 I moved towards the flyover hoping to cheer on some of my friends who ran the full. I saw Raffy looking strong as always, Ellen, Argo chatting with Luis, Prince, Sir Jess from Happyfeet, Roselle not tired at all. A few more minutes, I see my hunny. He looked so happy to see me. I got his hydration belt and ran beside him. Major cramps from km 13 onwards made him really slow. He even have to stop 20 mins from the finishline 😦 He ended his 1st HM in 3:22 and made the cut-off! Yay! I’m so proud of him! By the finishline, I chatted with some friends. I didn’t want to leave yet as I haven’t seen Carina and Tracy finishing. I needed to be there when they cross that finish line. I saw how these 2 trained so hard and I want to be there to share their victory. Carina, Tracy etal cross the finishline in 5:19. WOW! For their 1st time full marathon, that was pretty fast! So proud of them! 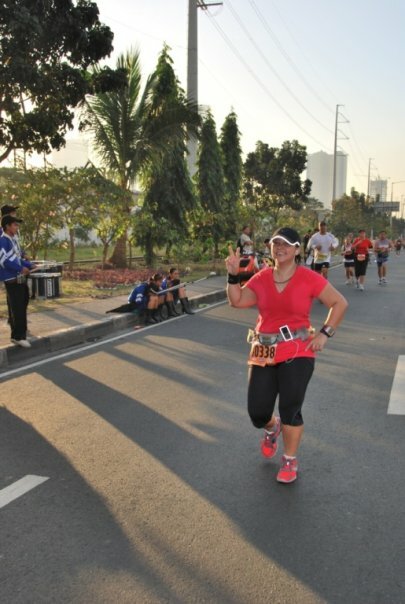 After my 1st half marathon experience, I can say I am truly in love with running! 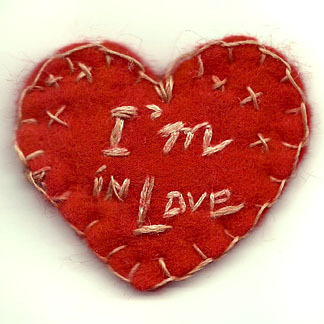 My heart, body and mind crave for it. Hubby and I just signed up for another 21k and also for our first full marathon on May. Noy completed the half? I am impressed. late ako to react 🙂 thanks tito mark!